Wall Street investment firms have bought thousands of single family homes in Middle Tennessee and turned them into rental units. 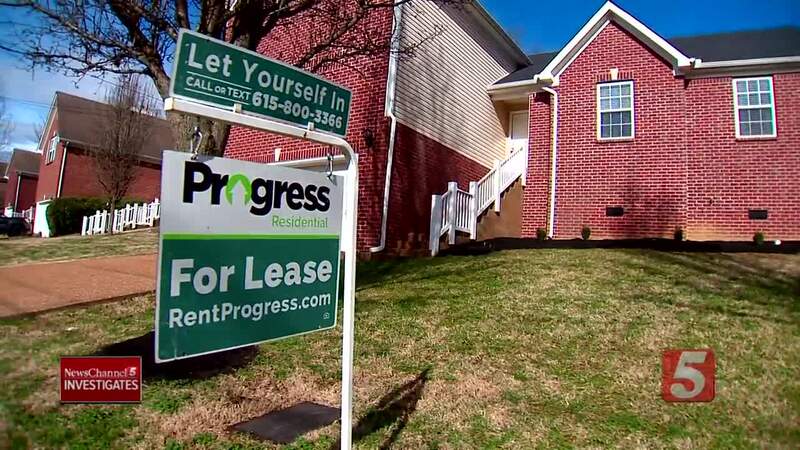 NASHVILLE, Tenn. (WTVF) — Wall Street investment firms have bought thousands of single family homes in Middle Tennessee and turned them into rental units. They often pay at or above asking price which can push up the price of homes and impact affordable housing. 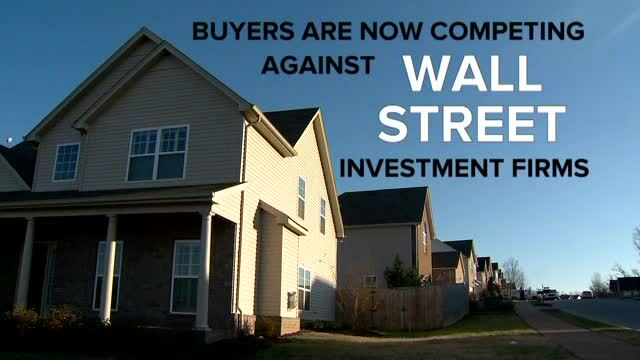 Some Nashville neighborhoods are now trying to keep the investment firms out. The firms usually buy homes with cash, and little or no inspection, which makes it harder for first-time home buyers to get a home. Joy Styles could not wait to buy her first house. She had good credit and money for a down payment, but she couldn't get a home. "Many times I would call and immediately be told 'nope it's off the market.' I just literally got this email today," Styles said. She didn't realize she was competing against Wall Street investment firms that have been buying homes ever since the housing market crash. TSU Associate Professor Ken Chilton has followed the trend. "Historically there is no precedent where you think these large companies are coming and buying up our local housing," Chilton said. Just the top four real estate investment firms now own more than 5000 homes in Middle Tennessee. According to records from Chilton the four firms own at least 679 homes in Williamson County, 974 homes in Davidson County and 2156 homes in Rutherford County. He estimates 2.5% of all single family homes in Rutherford County are owned by Wall Street investment firms. "When housing and community become a commodity that's traded on Wall Street like pork bellies, that creates some philosophical issues," Chilton said. Progress Residential owns more than 15 hundred homes in Middle Tennessee. You see on their website they are in other big cities. Chilton said these companies market to families with household incomes above $80,000 a year. "This is not poor people housing. These are houses that rent for $1800 to $2500 a month," Chilton said. Bruce McNeilage has sold homes to the corporate investors. He is co-owner of a real estate investment company, Kinloch Partners. NewsChannel 5 Investigates asked " Is the American Dream dying? McNeilage said, "The American Dream has been dying for six decades." His company built an entire rental community in Fairview in Williamson County behind a school. The new homes rent for $1800 a month. He said many families now prefer renting, but he is worried about their financial futures. "In my opinion if we don't reverse that trend, it's going to be one of the greatest societal failures of our generation," McNeilage said. NewsChannel 5 Investigates put together a map which shows Wall Street firms in Davidson County have bought mainly in Hermitage, Antioch and South Nashville. In some neighborhoods the firms have nearly taken over entire streets which has made it more difficult for first-time home buyers. "As long as you have the money and need to invest that money by corporations in America and by smaller guys like me, they're going to keep driving the prices up," McNeilage said. Metro Council woman Jocobia Dowell believes the large number of corporate landlords in her Southeast Nashville district are often less invested in the community. "When they buy up all these homes in our community it creates a lot of other challenges," Dowell said. "We've had issues, let's be honest whether it was maintaining the property or an abundance of cars, we've seen it over and over again," Dowell said. "They'd say we can't sell you the house because we just got a cash offer. Happened all the time, the worst," Styles said. She finally got a builder to build her a home. She is now fighting against the Wall Street investors as a board member of her neighborhood's homeowners association. "We passed an amendment that you have to own and live in your house for two years before you can rent it to anyone," Styles explained. She says a Wall Street firm recently passed on a home that went on the market. They couldn't buy the house, so yeah us." Styles said.